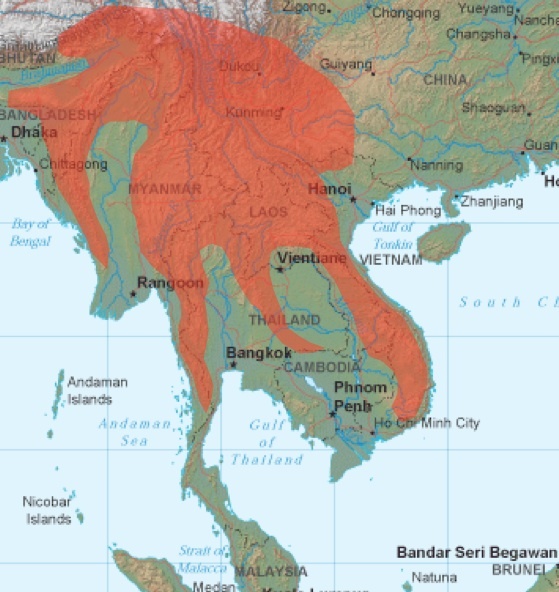 I just discovered the concept of Zomia, proposed in 2002 to describe the rather unruly highland areas of SE Asia running from Tibet to the Bay of Bengal and the South China Sea. This area has come to the debates in this blog about the Great Eurasian colonization, as it is pivotal between South, Southeast and Mid-East Asia, the main regions of Eurasia where H. sapiens settled early on most likely. But until now I was unaware that it had a name. The proposed name, Zomia, derives from Tibeto-Burman Zomi (also Mizo), meaning highlander or more strictly remote people. The borders do not exist. As member of a highlander (and yet coastal) people, I reckon that nearby lowlands are typically incorporated into the highlands and vice-versa. Yet the lowlands are also more open to foreign influences, more cosmopolitan and easy to conquer, while the highlands are the backbone of the people. So that’s why I titled this article Zomia and the rivers… and not just Zomia: the mountains. Because I do not think they can be detached from each other, at least not easily. For the reference: some blogs and media mentioning Zomia: Geocurrents, Loudcanary, Perspectives on Pan-Asianism, Freedom, Understanding Society. The northernmost implicated river is the Yangtze but this one is a region on its own, alone or with the Yellow and Pearl river basins. The main river is the Mekong, which, along the Chao Praya make up the largest lowland area of the whole region and what can be the heartland of Indochina (mainland SEA). But the other river areas also have their own personality. 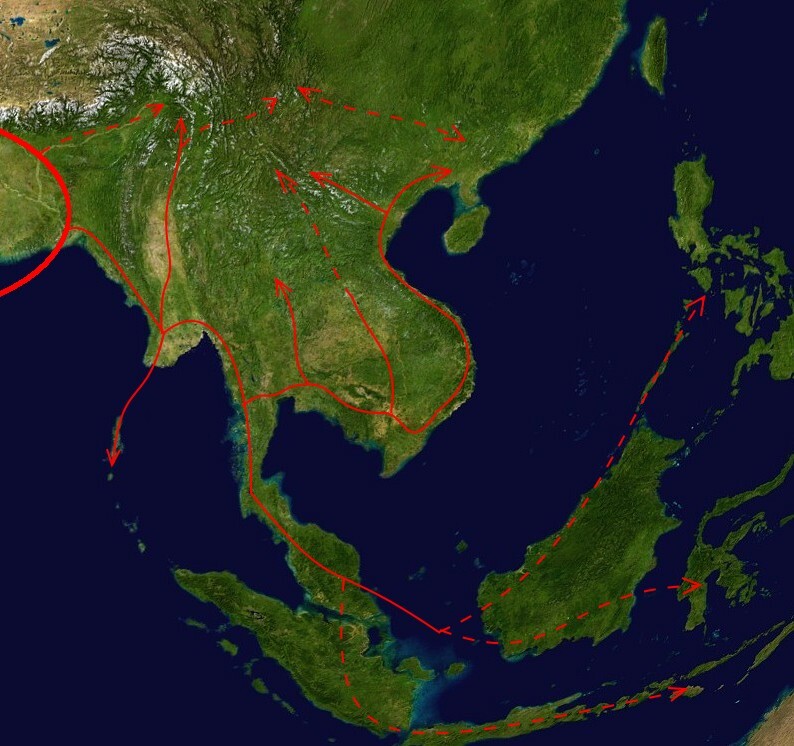 Following the premise of “coastal” (tropical) migration model, upon arrival to this area people must have formed several different populations, probably following the river-basins’ logic to some extent. 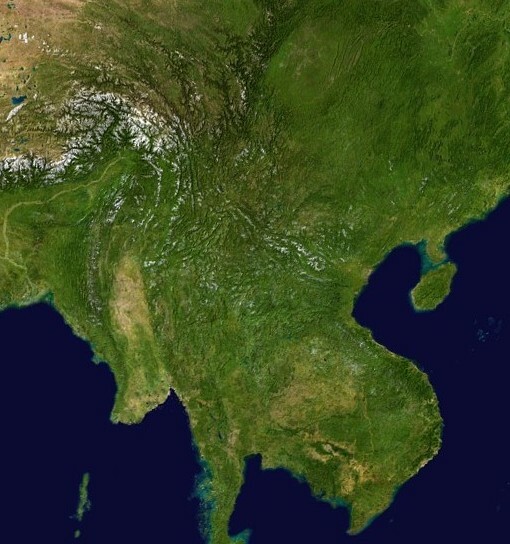 Burma (or Myanmar) appears here as a crossroads, allowing people to head northwards into Yunnan, southwards into Andaman and in SE direction into Sundaland (along the coast) and the Chao Praya and Mekong basin (not necessarily by the coast). So we can hypothesize at least four different populations resulting from this split after crossing into SE Asia. This is my best-guess reconstruction of the main population flows implied in East Eurasian (and partly All-Eurasian) genesis. Now feel free to place the major lineages (mtDNA M derivates and all N, Y-DNA D, C and MNOPS) in each of those arrows as you think best. While not indicated there was also at some point a backflow in Westward direction (mtDNA N, R, Y-DNA P). I would say that the Irrawady basin (because of its crossroads characteristic) and the Chao Praya/Mekong basin (because of it greater size) must have been areas of certain relevance. However Sundaland and South China (Yangtze, Pearl River and coasts) also look like having played major roles.